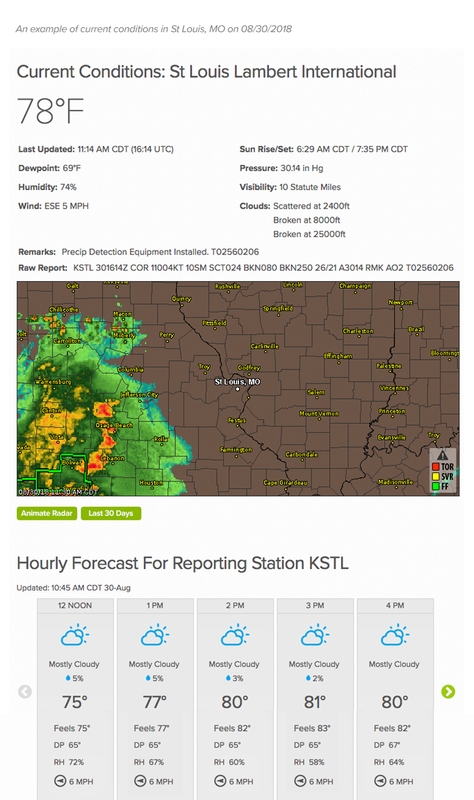 Get a quick overview of your current weather with weatherTAP.com's local forecasts. View current conditions for your area including temperature, humidity, winds, pressure, and visibility. You can also view your hourly forecast for the next 36 hours, as well as a daily forecast and a seven-day forecast. With weatherTAP, you can know at a glance what the weather is and what it is predicted to be. View your current local radar to know if any precipitation or severe weather is headed your way. Quickly link to radar, satellite and predictive weather images to get an even more comprehensive view of the current weather. Need to know what the weather has been? Link to archived weather data observations which show you 24 hours of hourly, current conditions for any area for the past 30 days.